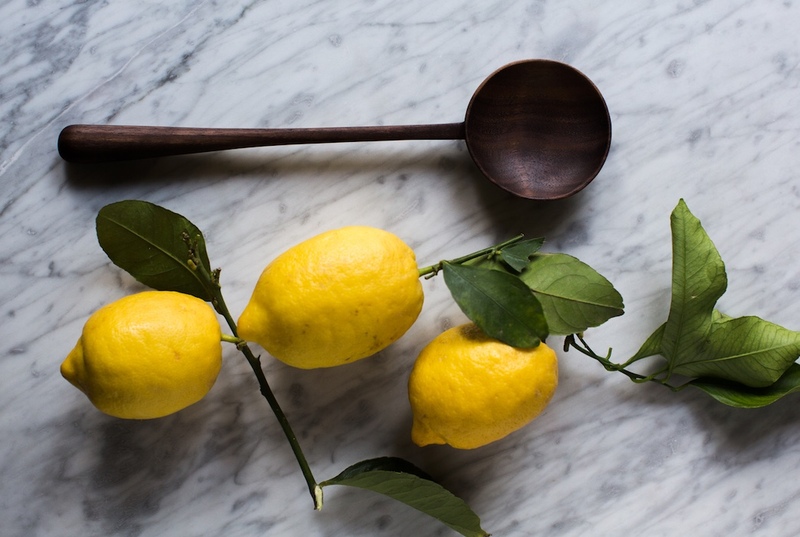 Luke Hope creates stunning hand carved spoons with a meticulous attention to detail. Drawn to the calm of the process – working with an organic material, revealing natural form and creating and blending new lines and shape – he makes each piece, from start to finish, at his London studio. We’ve collaborated with Luke to create an exclusive piece for At The Table which is both beautiful and functional. 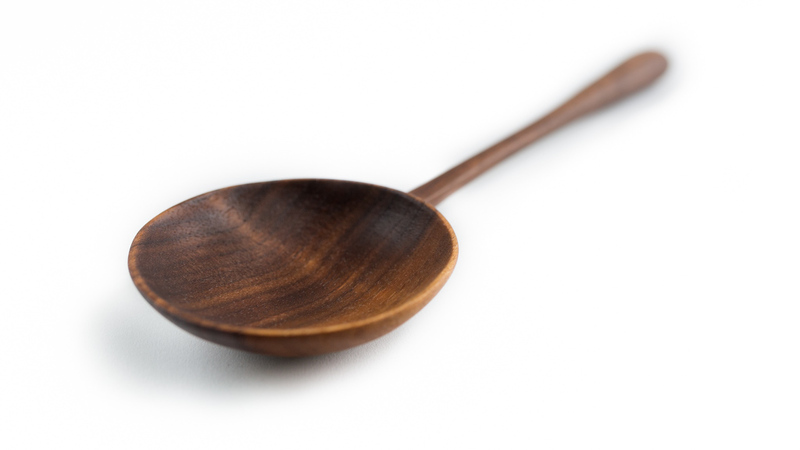 Hand crafted from dark walnut wood, this sturdy serving spoon has a silky smooth finish and is sealed with mineral oil and beeswax. It features both the dark heartwood and lighter sap wood colours, and has a raised blended stem on the back of the bowl. Each spoon is made to order, featuring unique grain pattern and colours, along with slight shape variations. We love the smooth finish and tactile, rounded handle. Perfect for serving in style at dinner parties, or used every day in the kitchen. This product currently ships to the UK only. Each spoon is made to order and will take a maximum of 4 weeks to be dispatched.